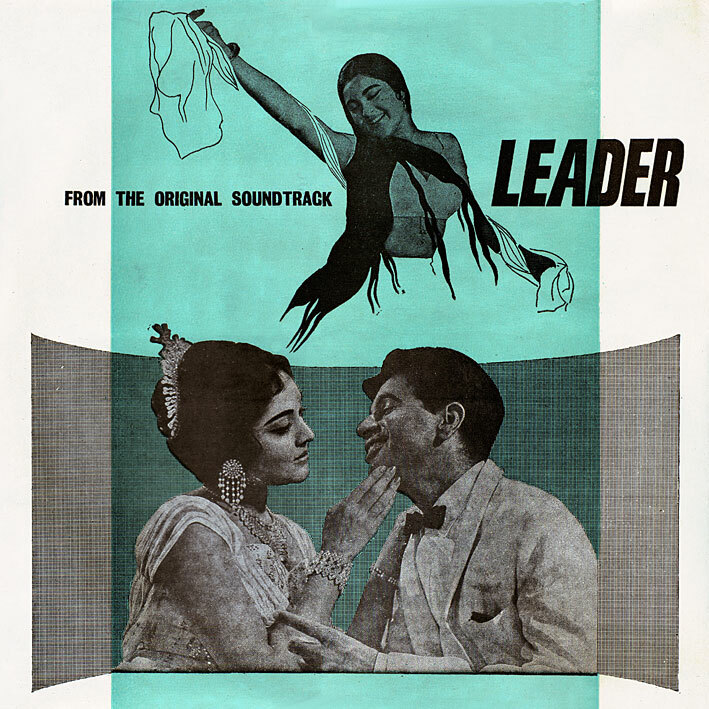 According to Stella at Parties, Sarees and Melodies, 'Leader' was something of a transitional work for Naushad, representing a bridge between the classic, folk-based soundtracks of the 50s and earlier, and the modern jazz & beat based sounds of the 60s and beyond. And that it thus divided its audience. It's certainly worth attention though, with interesting going-ons on both sides of the divide. 'Tere Husn Ki' is a cheery duet with a lovely melody; 'Ek Shahinshah Ne Banavake' has the sort of psychedelic sounding sitar & violins vibe that George Harrison would later exploit (in a good way) with The Beatles; 'Mujhe Dunyawalo' is bouncy pop with a Latin tinge; 'Dayya Re Dayya' starts with a screaming trumpet followed by tribal percussion before heading off in all sorts of different musical directions; and more… so check it out. I was actually listening to Within You, Without You when I came across this post. Thanks. A track which 'Ek Shahinshah Ne Banavake' indeed reminded me of. Anyone else hearing that? thanx PC for another fantastic release! Been absent for a while, which means I now got a browser full of pending downloads. Looking forward to dig in!